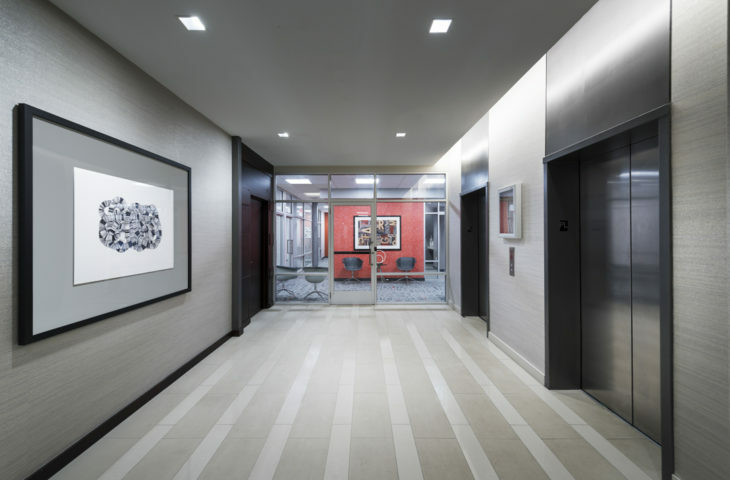 Circle Towers is an apartment community located in Fairfax, VA. GTM was tasked with reimaging vacant retail space to create exciting new amenity areas for the building tenants. 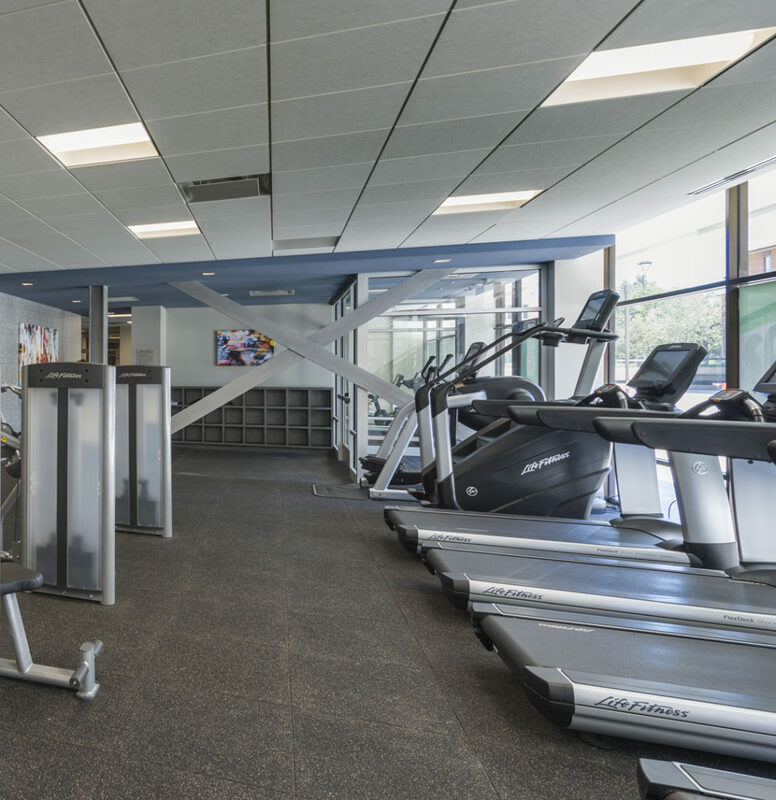 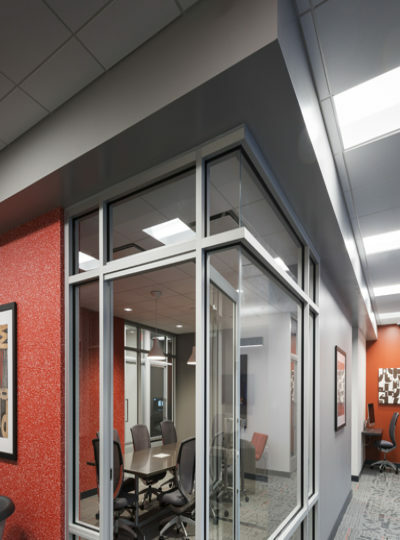 A state of the art Fitness Center and Business Center were created, and the existing elevator lobby was enlarged and renovated to provide an elegant and inviting space. 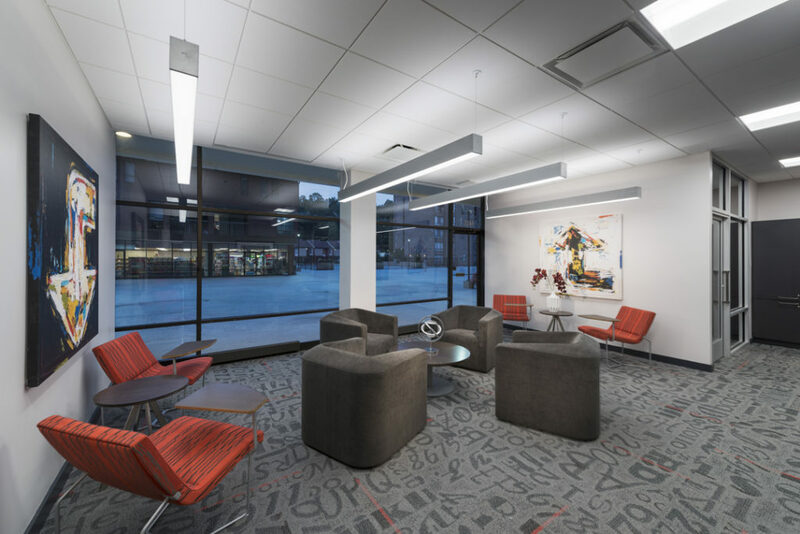 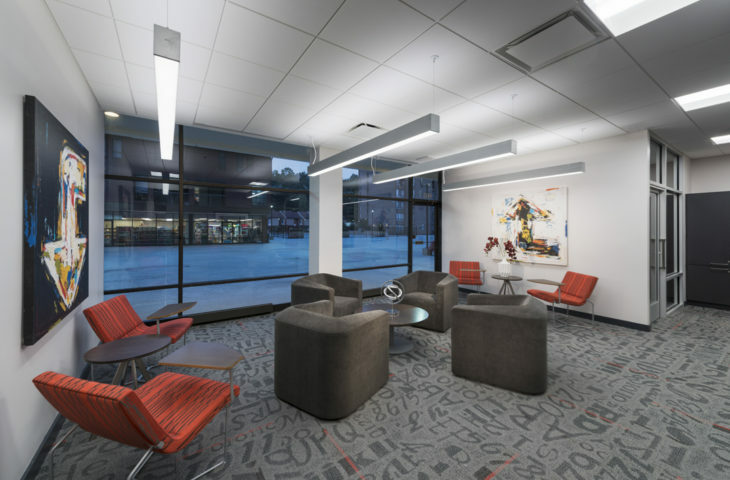 Tile flooring, metallic wall covering, and modern artwork add a fresh look to the lobby space. 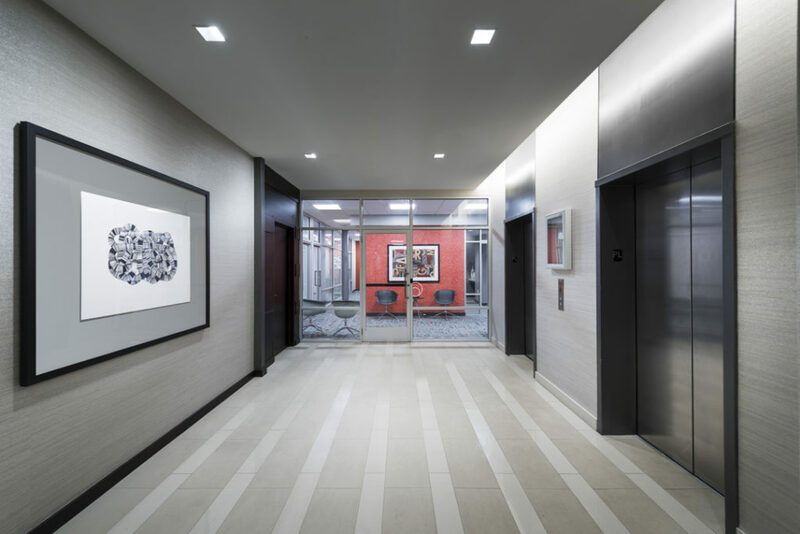 New storefront entrances were designed to access each amenity area off of the lobby. 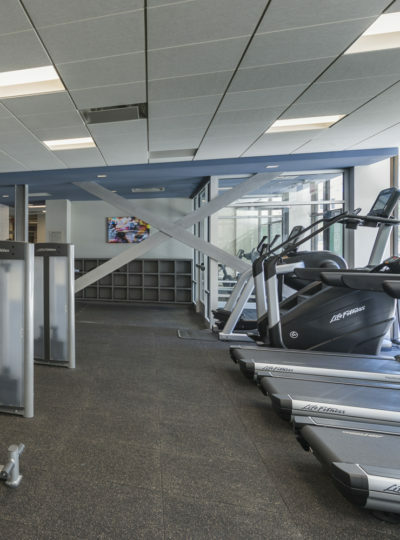 The building’s existing structural steel cross-bracing and columns were exposed at the Fitness Center and Business Center, and highlighted with a metallic paint to add an industrial touch to the design. 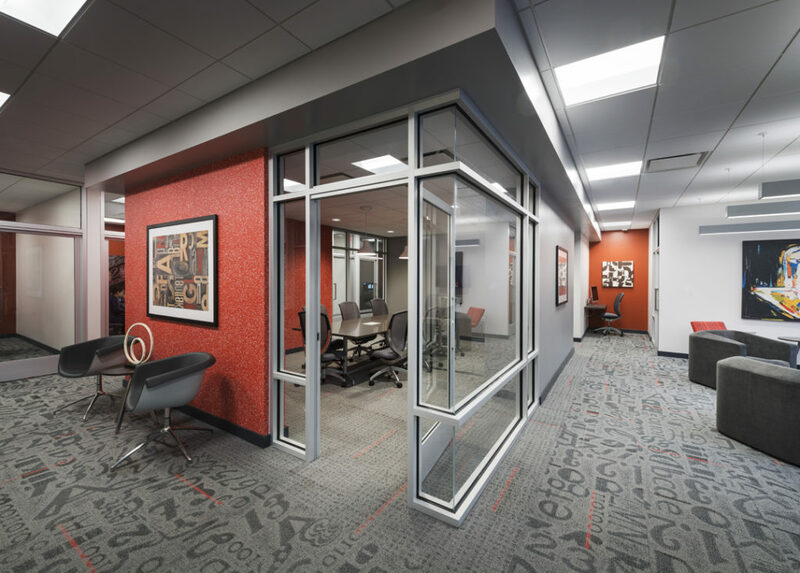 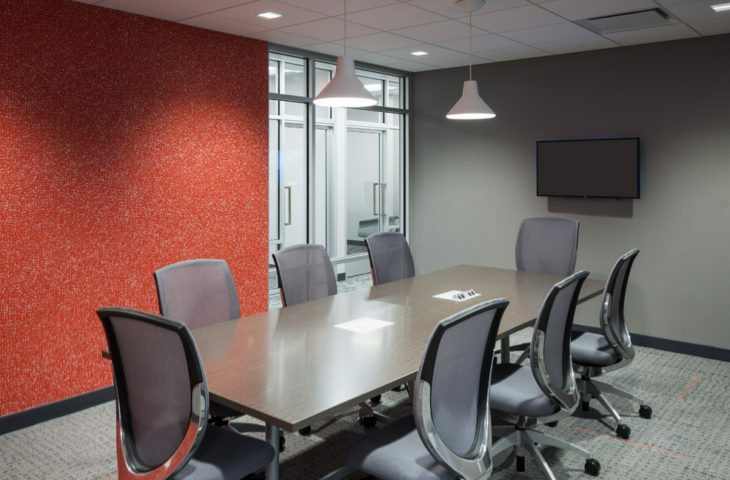 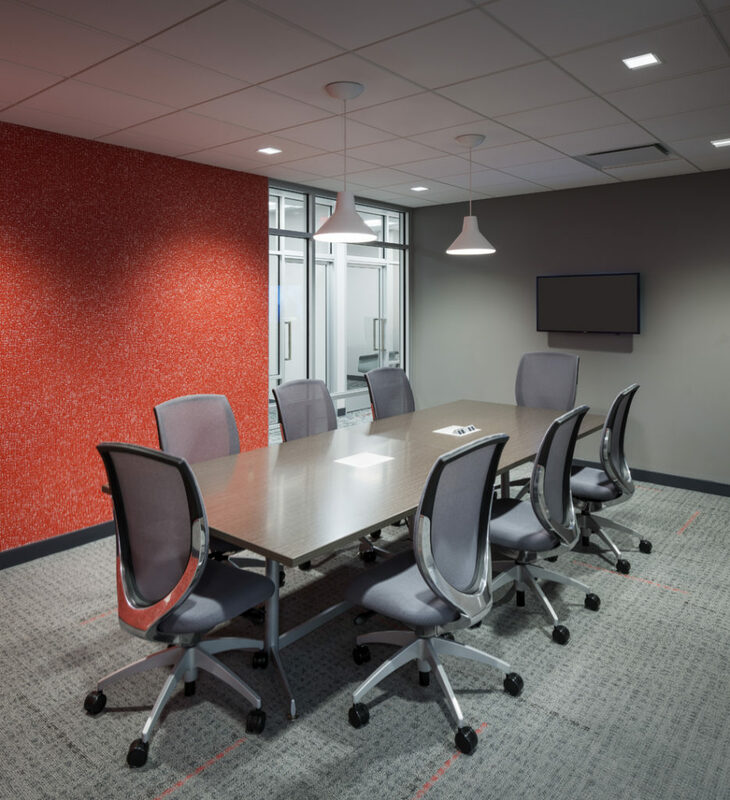 Private study rooms and meeting spaces were planned in the Business Center, along with open communal study areas. 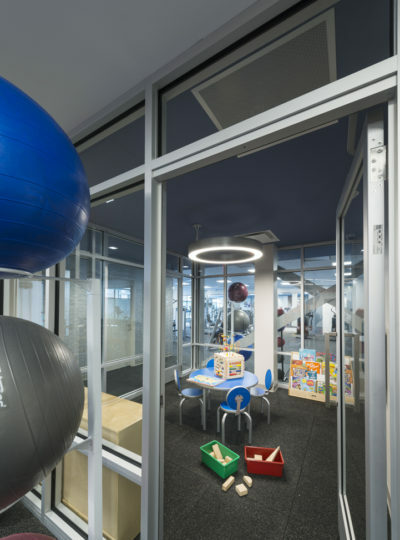 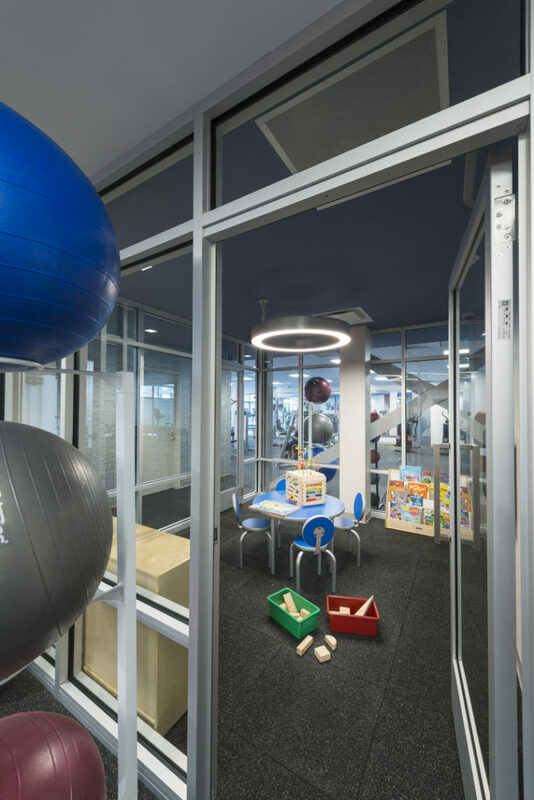 At the Fitness Center, a private spinning/yoga room was added, as well as a kid’s zone.